With the rise of affordable car finance and various manufacturers bringing out more accessible supercar models such as the Audi R8 and Nissan GTR, these speed machines are on the rise. After three years, these cars retain 48.8 per cent more of their original value than other luxury segments, given thorough upkeep of your supercar. So, what are the most important things to consider to keep the expensive ornament of your driveway looking and feeling its best? Hippo Prestige explains everything you need to know about supercar maintenance. A stamped service history is vital to retaining your supercar’s value, so it’s not something you want to neglect attention to. Gaps in a service book on such an expensive car could sway potential buyers when it comes to selling the supercar. Be sure to find out the cost of servicing before signing for your chosen prestige vehicle, as this can vary massively from one marque to the next. Many luxury car makers have extended their service intervals on modern models, but labour-intensive operations mean costs remain similarly high. Find out whether a maintenance package is on offer – these usually include fixed-priced services, parts and labour for a set period or mileage limit. When maintenance packages are available, you should have the option to pay monthly like with a finance plan, an easily budgetable option. Modern cars are painted with water-based paints for environmental reasons, although it tends to be thinner and not as durable to road elements. Most supercar dealerships will offer a paint protection add-on to buyers for maintaining their supercar. This is generally a ceramic coat designed to protect paintwork, alloys and bumpers from traffic pollutants, everyday weathering and bird lime. The acidity of bird droppings, chemicals and brushes at a car wash and even microscopic iron filings from passing trains all result in irreparable damage to the car over time. We always recommend spending a little more on a good detailer, this will result in minimal maintenance being required in the long run. The first step is to remove general road grime, we advise doing this by hand to avoid any scratches to your supercar’s paint. Stick to using products specifically designed for washing cars. Any other type of detergent could damage the luxury car’s paintwork. Use a soft cloth as opposed to a sponge or any hard brushes. You will also need a hose and clean water to rinse the soap. It is best to wash your car out of direct sunlight, so you get the chance to wipe it down and dry it down manually to avoid watermarks. An essential aspect of the care for your supercar is the use of wax to protect the paint. We recommend applying this by hand. How frequently you wax your car depends on weather conditions, how often your car is driven and how often it is washed. So far, we’ve provided you with the must-know tips for washing your supercar yourself. You also have the option to take it to a professional car wash and detailing service but be warned: paying others for a premium wash on a premium car comes at a premium price. Pricing varies, of course, but the charge for a supercar wash can sometimes get into 4-figures. It may seem extravagant but this is more than just a simple soap and water rinse. Such high-end washes can include high-end technology, such as an electronic microscope to reveal scratches that might not be visible to the naked eye. Whichever method of washing you choose, doing it yourself or leaving it to the pros, know that keeping a supercar clean is an investment in its own right. You’ll spend plenty of time and money keeping it in tip-top condition, but just remember that it is another vital aspect to preserving its initial value as much as possible. 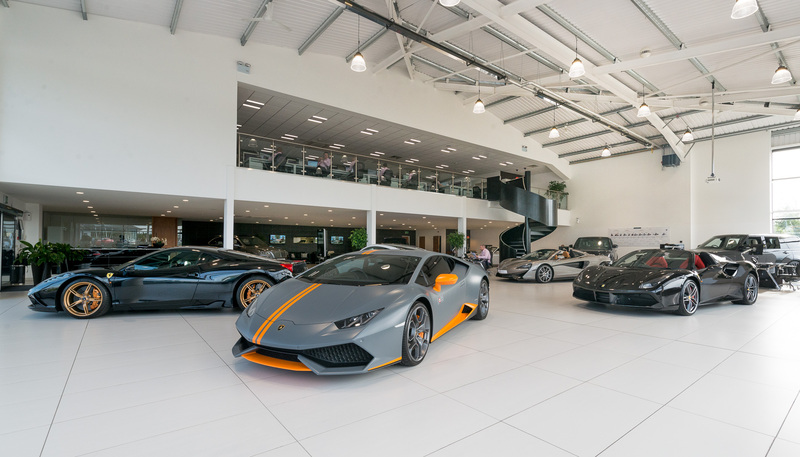 Hippo Prestige is the UK’s top supercar facility with a showroom offering a huge choice of supercars for sale across all of the prestige marque including Lamborghini, Porsche and Ferrari. Before they are made available to you, all vehicles undergo thorough preparation tests in the state of the art on-site Service Centre. Our services continue beyond a completed purchase. 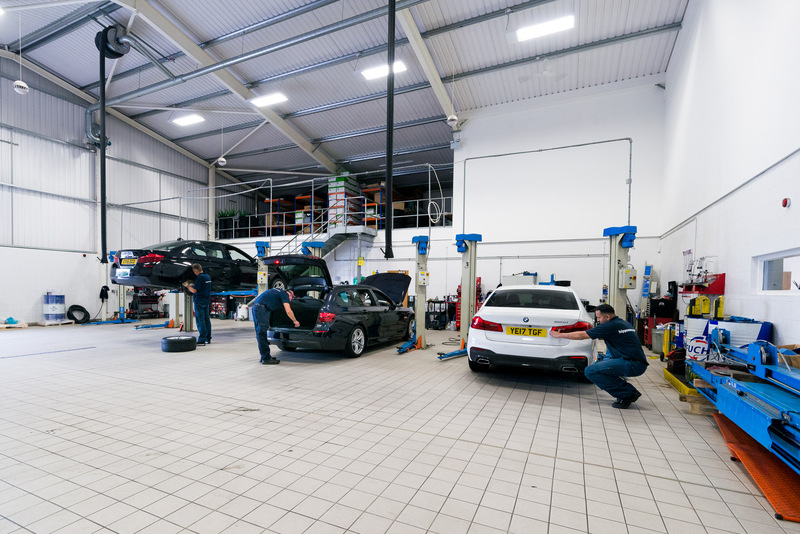 Hippo Prestige is able to service your chosen vehicle as well as undertake car repairs including exhaust, engine work and more. 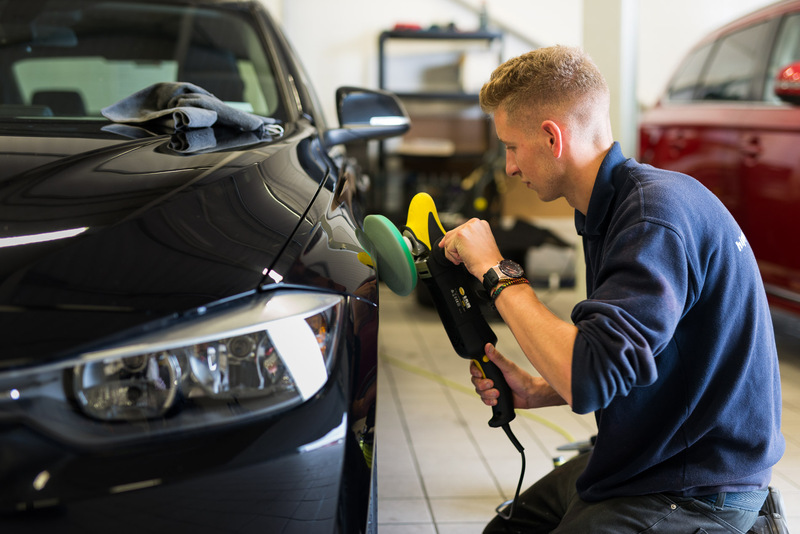 We also have a department that specialises in high-quality bodywork and vehicle preparation. To find out about supercar maintenance or servicing with Hippo Prestige, or to find out more about all our packages at our service centre site at hipposervicecentre.co.uk or call us on 01254 916450.